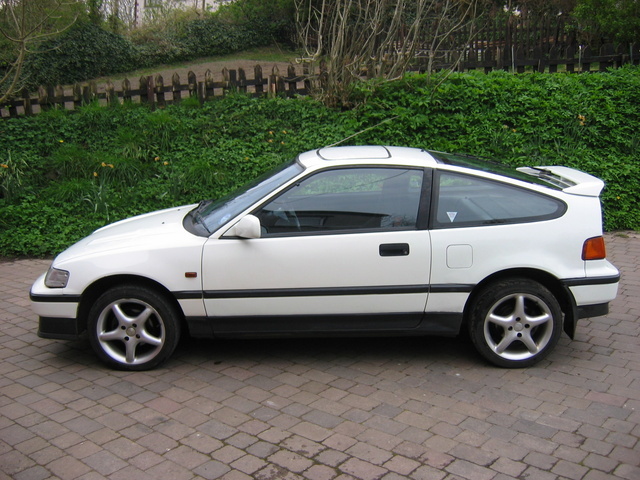 Have you driven a 1990 Honda Civic CRX? Displaying 11 - 20 of 27 1990 Honda Civic CRX reviews. Awsome — Great on accelleration and handling good on braking. 48 MPG city 54 MPG on Highway only payed 20 dollars to fill up from about quarter of a tank. Really fun to drive feels like a gokart fun on windy roads. Looking for a Used Civic CRX in your area? CarGurus has 5 nationwide Civic CRX listings and the tools to find you a great deal. Crx Vtec — it is the optimal gti car. the only bad thing about it is that the rear seat is to small for anyone with legs thicker then 5cm will not fit. 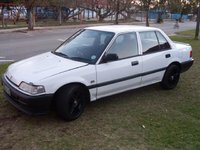 acceleration is great, the 150hp vtec engine in a car wheighing less then 900kg, advanced suspension gives it supreme handling. this car is superduperfun to drive, with lots of race factor! Pros: superb car, it is a honda, do i have to say more..? I Loved This Car. — Quick, but not quick enough. could've been built a little stiffer. tended to roll around corners before upgrades. nice up-gradeable exterior. Cheap to own, cheap to drive and fix...unless you break your frickin' distributor!!! so Much fun to drive. just spend money fixing it up a bit. With the aid of some lowered suspension, fat low profile tyres, and oh, say a body-kit, tinted windows and let's say an acura integraengine transplant..(with a turbo and headers) hehehe. this car rocks!! a modern classic...? Pros: Quick, nimble, affordable, and fun. Cons: Could've been a bit faster and built a bit tougher. Crx Si — First "new" car I ever bought or owned. I used to liken it to a four wheeled motorcycle. Fun to drive...from acceleration to hanging on in the curves, this was just an excellent car. Regretted trading this in from day one. I'd love to have one right now as a toy car. Cons: 2 seats...but that's sometimes a positive. Favourite Car — Favourite car I ever had. Awesome performance from 1.6i engine, sounded great with K&N filter. Amazing fun and I loved the styling. Was reasonably economical if not thrashed. Getting rare sights on the road these days!! Jap power!! Only negatives were space in the back and the fuel tank started leaking but loved the car all the same. Sold to a friend but he crashed it and is no more :( Would definately recommend as a cheap performance car!! 1990 Honda Crx Si — This little car was bright yellow a loads of fun. I could do e-brake turns on asphalt. Fast and nimble. Pros: Great gas mileage. Fun to play in. Just A Great Little Get-around Car! — It was a great little car, and I just wish I had never sold it. It would have been nice to have with the price of gas right now. Makes You Smile Everytime You Drive. — Hondas great pocket-rocket. Its very small and rigid, originally made for track racing. Driving it feels like driving go-kart. It has 1.6L Dohc (vtec in some models) engine capable of producing 150 bhp. My CRX was equipped with Simons exhaust system, K&N high performance filter and engine tuning chip and Monroe sports suspension. So it was little more powerful than stock version. Every time I drove it I was in heaven. Every tight turn put this wide grin on my face. 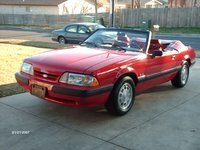 I highly recommend it to anyone looking for good price sports coupe. Cons: Fits only 2 people. Not very good for snowy winter.